After three years, the British rockers are back with a twist on their world-famous sound. Alt-J’s first single in three years comes in movements. Eschewing any verse-chorus-bridge-chorus structure, “3WW” enters as some pleasant bass-heavy Bedouin instrumental and exits just the same, all the while interweaving guitar distortion, layered acoustics, strings from the London Symphony and additional vocals from Wolf Alice’s Ellie Rowsell. 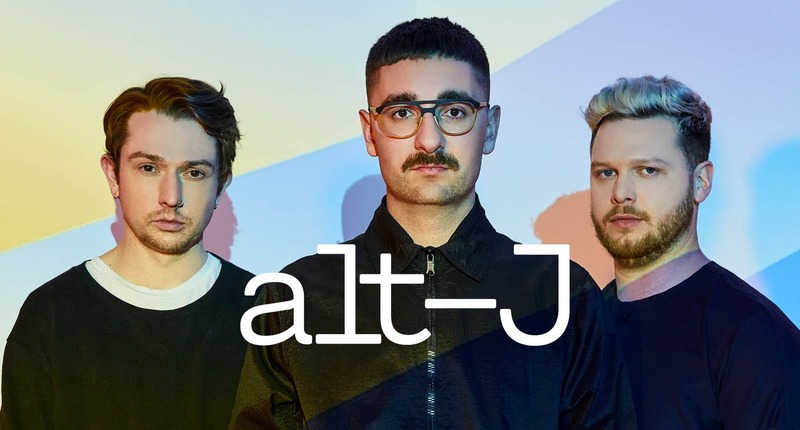 If that seems an odd place to start, both with an album and an interview, it is, except to say that alt-J has always allowed their music to do the work. Forced into some vague categorization, the London-based trio could be considered a globally renowned rock band. Beyond that, however, they’re nearly impossible to describe, and they never play a part. alt-J is on the verge of launching a large-scale North American tour, with dates coast to coast already sold out. Yet its members—Unger-Hamilton, Newman and drummer Thom Green—could walk down virtually any street in their own hometown without being recognized. Success without fame—a very rare achievement today that speaks to alt-J’s creativity. Unger-Hamilton appreciates their unique path at this point, even if he’s not quite sure how to explain it. alt-J’s origins as a four-piece at University of Leeds, including then-guitarist Gwil Sainsbury, were like that of most young bands, a distraction from schoolwork or what Unger-Hamilton calls a “musical hobby.” After school, the band—then called Films—decided to properly record a four-song demo and reached a deal with Infectious Records. From there, the music did the rest. Hypnotic singles like “Breezeblocks,” “Matilda” and “Tessellate” formed the foundation for their debut, acclaimed album, An Awesome Wave, which won the coveted Mercury Prize and three Brit Awards. Global touring opportunities came calling as word of mouth kept spreading, all without the typical social engine or publicity machine. Relaxer is the band’s new album, an eight-song suite that includes more classical leanings than before and features singles like the aforementioned “3WW” and “In Cold Blood.” Unger-Hamilton believes the band is able to get away with their musical experimentation because they’ve set the tone from the outset. After all, if your band is difficult to categorize then you can willingly defy categorization. Relaxer is a natural next step after 2014’s This Is All Yours, which hit No. 1 in the U.K. and landed in the top 10 in 12 different countries. The band’s experimental dub-folk sound is present, yet new flavors have been added—an already inventive band intent on pushing the boundaries even more. Green’s own solo work as an electronic artist has now entered the band’s catalog as well as other recent influences. Their confidence in the studio has also translated to the stage, where alt-J will be busiest in 2017. A summer European tour that includes a festival appearance at Glastonbury cascades into a North American tour with stops at Red Rocks and Lollapalooza before heading back to Europe and then back to the U.S. in the fall for Austin City Limits and a year-ending set in Mexico City. Unger-Hamilton says he’s ready for it, since, as usual, the music will do most of the speaking for them. He’s also much more self-assured as a performer than he was in those early days around London. “We have room to improve on all fronts still, but we do finally feel now that if someone comes to a gig, we’re confident they will be impressed and not like, ‘Oh I hope they don’t judge us too harshly. I hope they buy the album and judge us on that,’” Unger-Hamilton says. Despite the critical acclaim, the headlining slots at global festivals and the chart-topping albums, the members of alt-J are still able to describe their lives as “normal,” at least as much as possible given their vocation. Unger-Hamilton says he hopes the band can continue to stay grounded even as they enjoy the fruits of their labor. is a writer and editor living in Indianapolis.